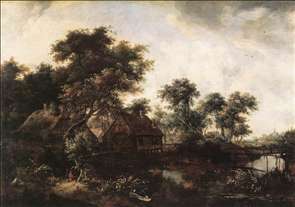 Dutch landscape painter. 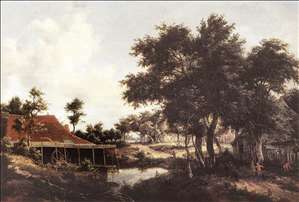 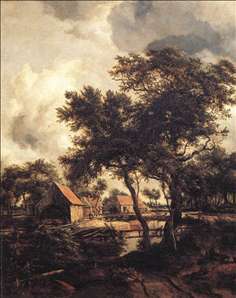 He worked in his native Amsterdam, where he was the friend and only documented pupil of Jacob van Ruisdael. 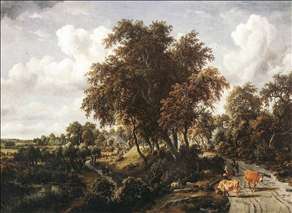 Some of his pictures are very like Ruisdael s, but his range was more limited and he lacked the latter s power to capture the majesty of nature. 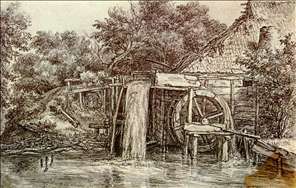 He painted a narrow range of favourite subjects particularly water-mills and trees around a pool over and over again. 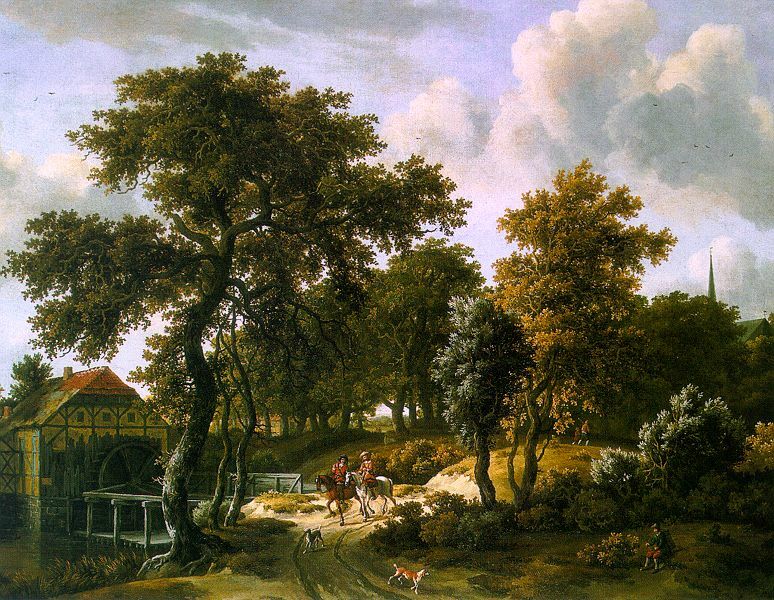 In 1668 he became a wine gauger with the Amsterdam customs and excise, and thereafter seems to have painted only in his spare time. 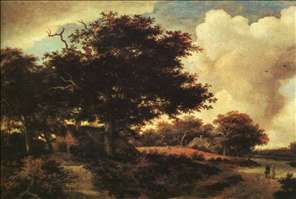 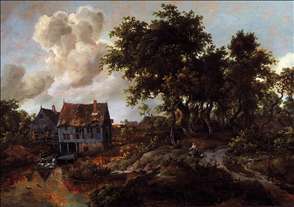 However, his most famous work, The Avenue at Middelharnis (National Gallery, London), dates from 1689. 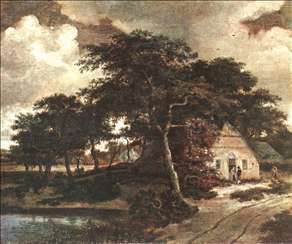 Hobbema has long been a popular artist in England (his influence is clear in Gainsborough s early landscapes) and he is outstandingly well represented in English collections. 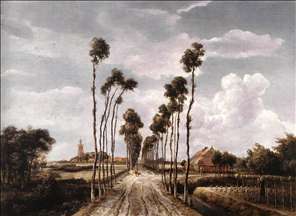 See more details about "The Alley at Middelharnis"
See more details about "Road on a Dyke"
See more details about "The Water Mill"
See more details about "Landscape with a Hut"
See more details about "The Travelers"
See more details about "Watermill"
See more details about "A Watermill beside a Woody Lane"